2.) Maximum grant amount is $500. 3.) Grants must be approved by a majority of the Board members. 4.) Project activities must take place in Pennsylvania. 5.) Contact individuals must be current BSP members. 6.) Disbursement of funds is at the discretion of the BSP Grant Coordinator (Philip Durgin) ideally, funds would be disbursed after items are purchased and based on documented receipts, but there may likely be situations where this is not feasible. 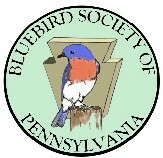 * To take all action deemed by the Bluebird Society of Pennsylvania to be beneficial to the protection, enjoyment and propagation of the Eastern Bluebird and other native cavity nesting species in Pennsylvania and elsewhere.